Fresh off a Producer of the Year Grammy snub, super-producer Timbaland is ready to unleash his second solo album this March. 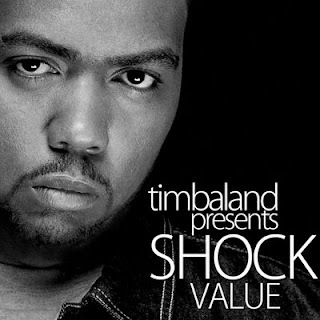 Timbaland Presents…Shock Value is scheduled for release on March 27th and boasts a genre-crossing lineup of Jay-Z, Justin Timberlake, The Hives, Fall Out Boy, Nelly Furtado and Elton John(what?). Below is the 1st single, “Give It To Me” featuring Nelly Furtado & JT,which should be burning through the charts as I write this. As a bonus, one of my favorites from Timbaland’s 1st solo album, “Who Am I” featuring a then unknown, Twista.